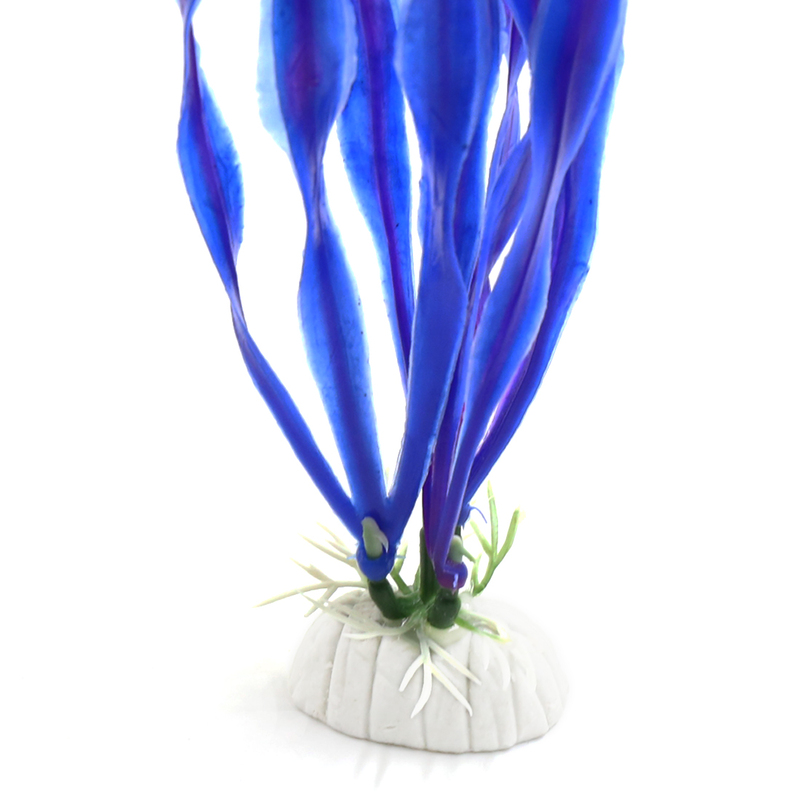 Provide a vivid and natural environment for fishes to swim or hide, add fun for your pets. A great decoration of your aquarium with its lifelike outlook, enhance visual appeal and can provide shelter for your fish. Made of concrete ceramic base, can stand steadily underwater. c. to avoid leaving feces on the plastic plants , it is recommended to clean the plants once a week. The plant is made of plastic, not real plants. The base of plastic plant made of fired ceramics. So if you finded some cracks in the base,just a normal phenomenon,they do not affect the normal use. In order to build a more beautiful aquarium landscaping,advise you cover the plant base with aquarium sand. Allow 2cm difference due to hand measure. Thanks for your understanding and enjoy using your product !